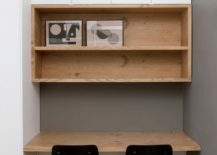 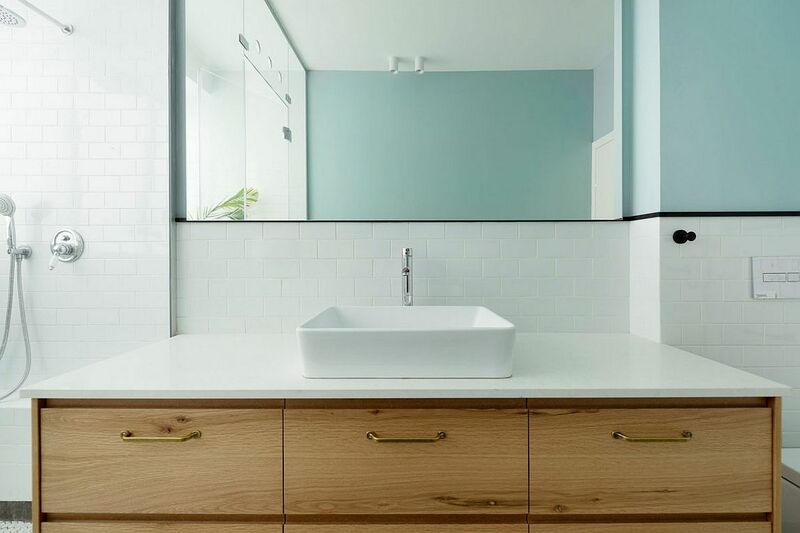 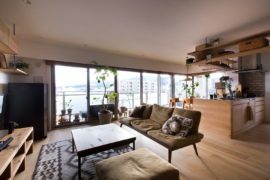 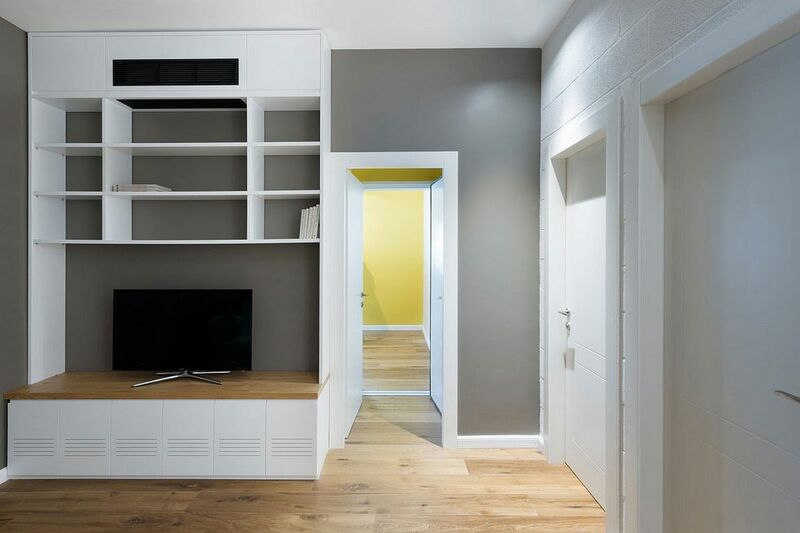 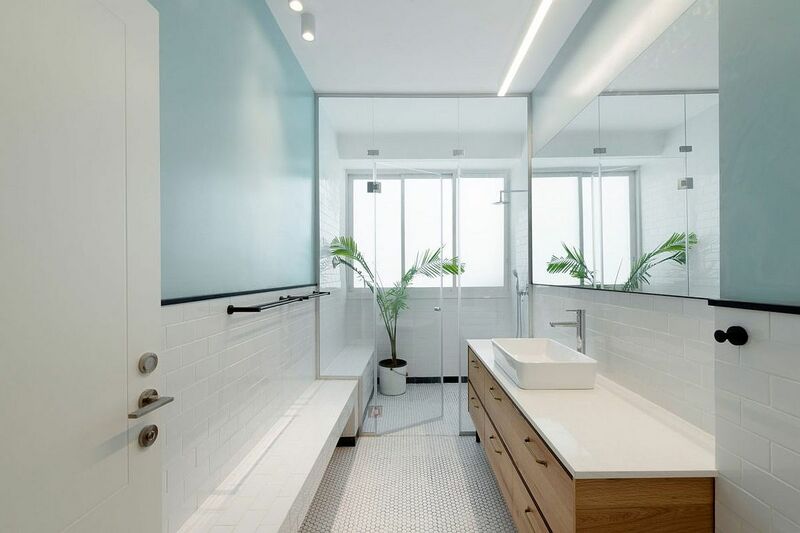 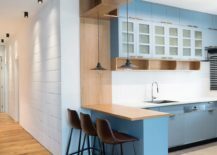 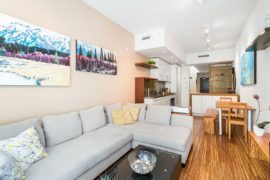 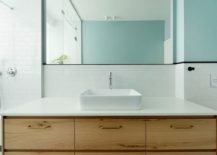 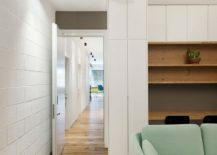 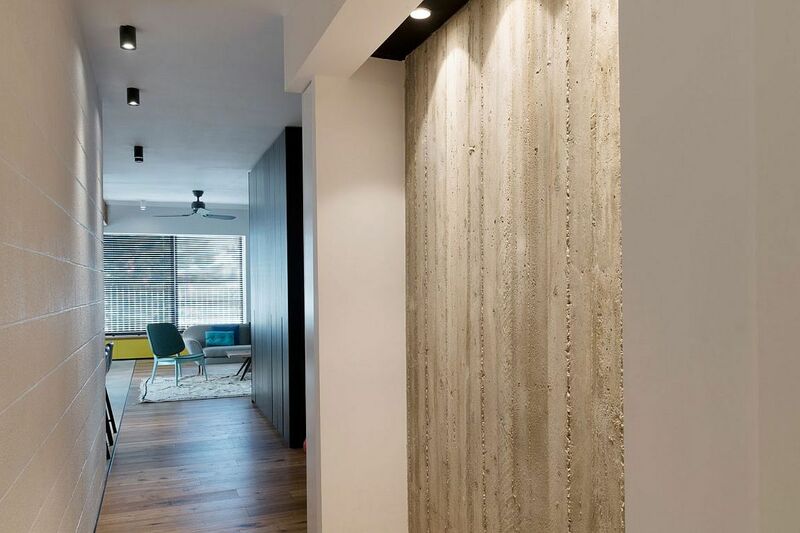 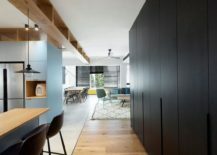 Maximizing storage and display space inside a modern apartment is a concern for most of us, and we are often searching for ways that we can get this done on a budget. 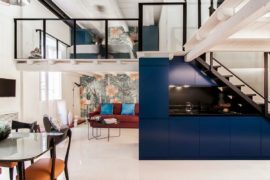 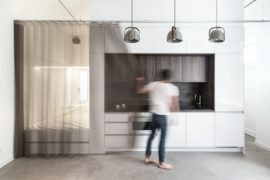 This revamped family apartment in Tel Aviv turns to custom cabinets and smart storage units that turn even an awkward corner into a space-savvy delight. 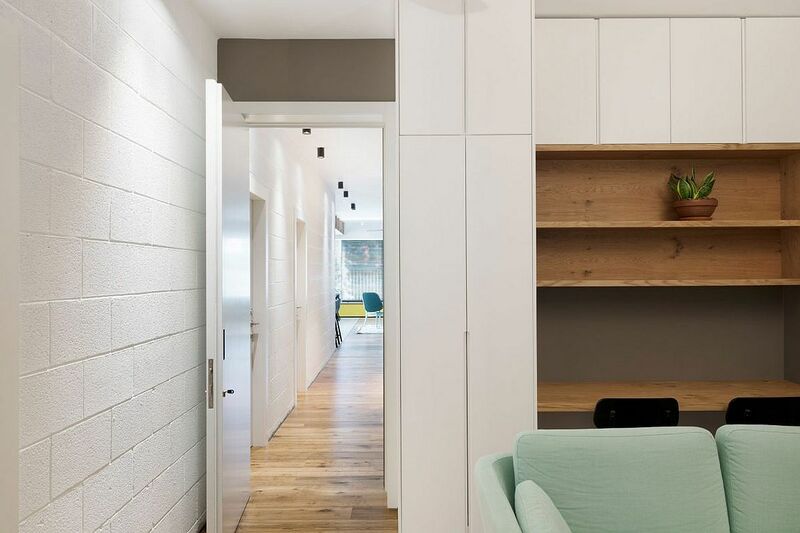 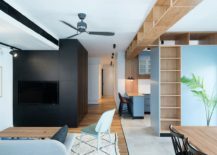 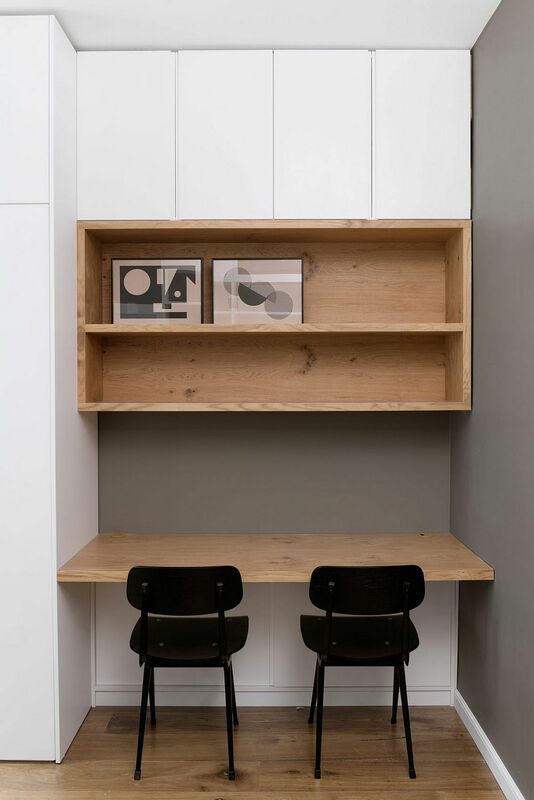 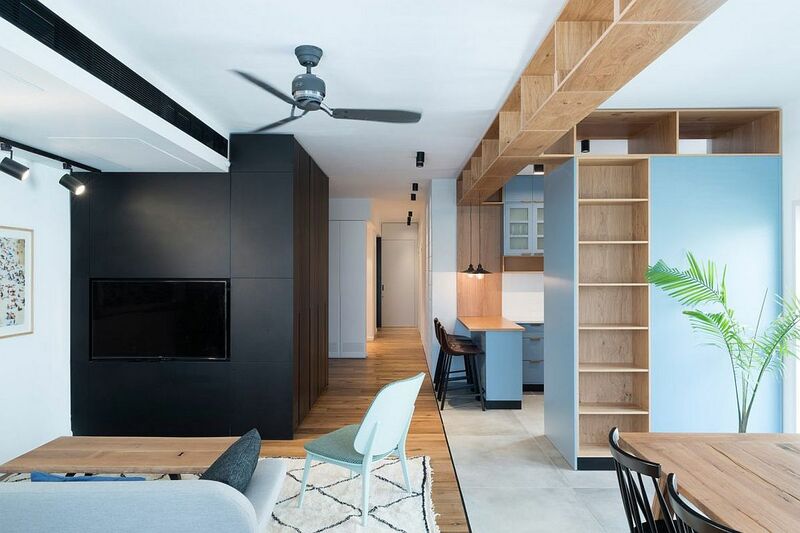 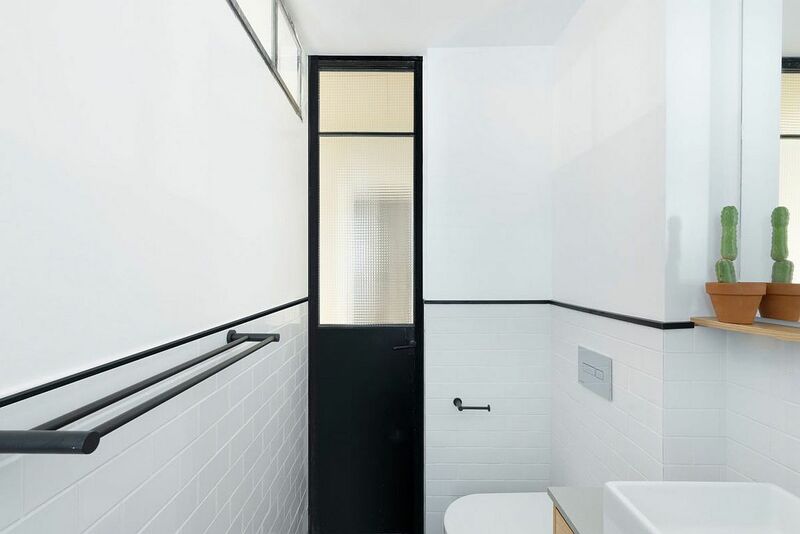 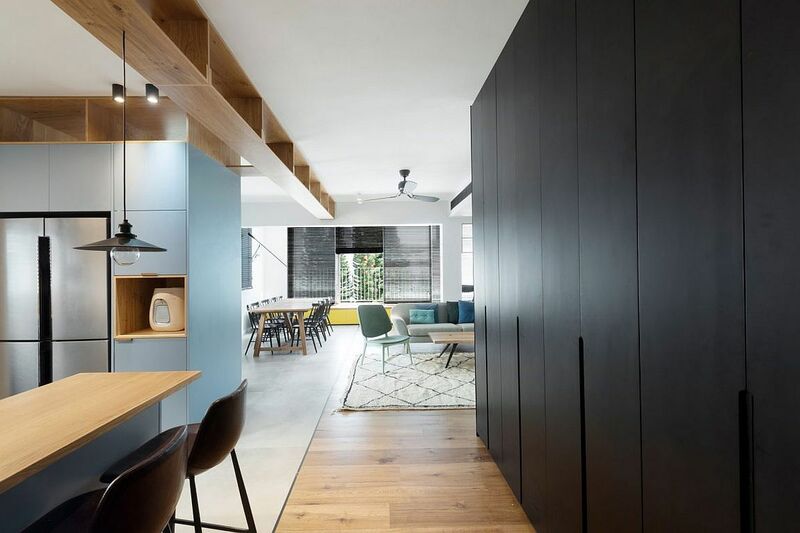 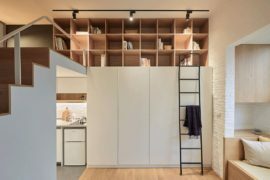 Designed by RUST Architects, the 165-square-meter apartment utilizes the available vertical space to the hilt, while wall-mounted cabinets, sleek floating shelves and cleverly concealed media units make the most of the limited space on offer. 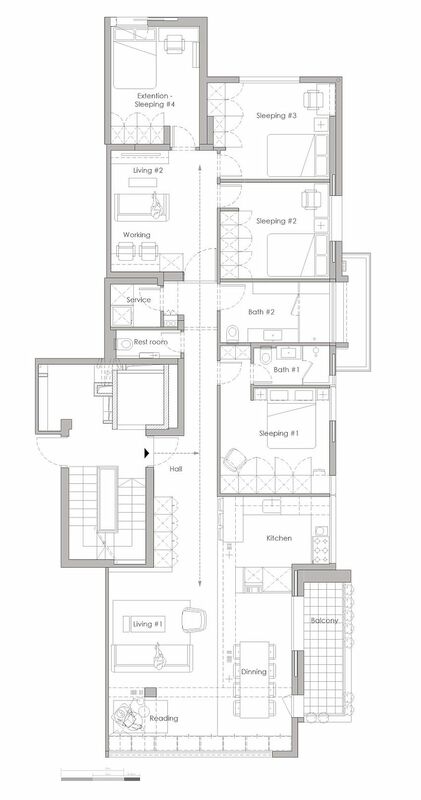 The revised plan of Family Apt. 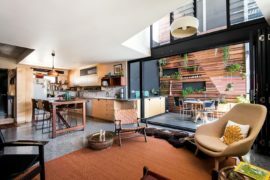 No.4 is centered on two public areas, with one wing connected to the new living room, dining area, kitchen, and a reading room that extends into the terrace. 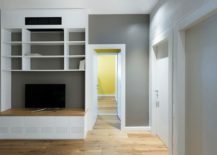 On the other side of the house sit the bedrooms, kids’ rooms, play area, home library and bathrooms. 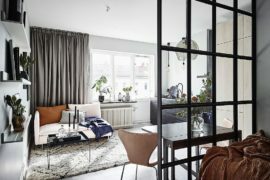 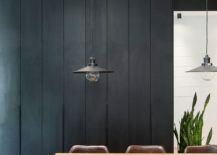 A neutral color palette that largely uses white is enlivened with pops of blue and gray, even as black anchors the setting and gives it a curated, contemporary look. 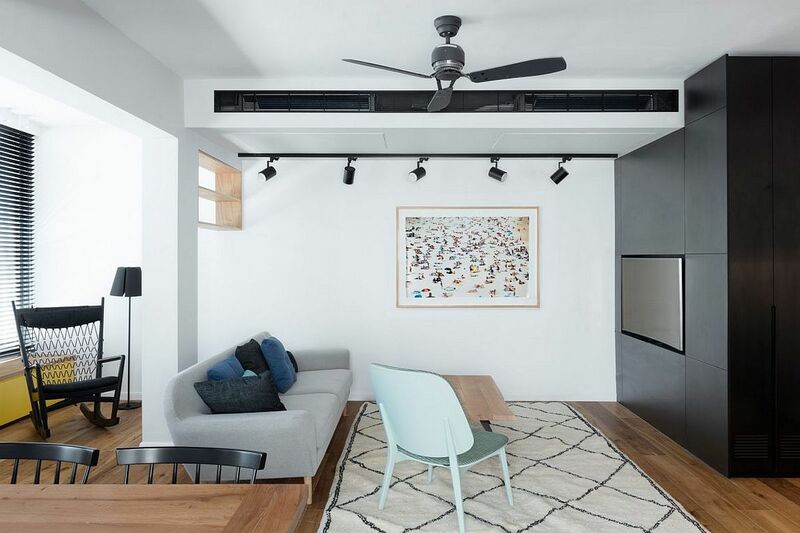 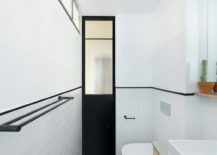 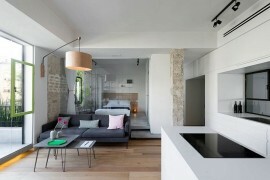 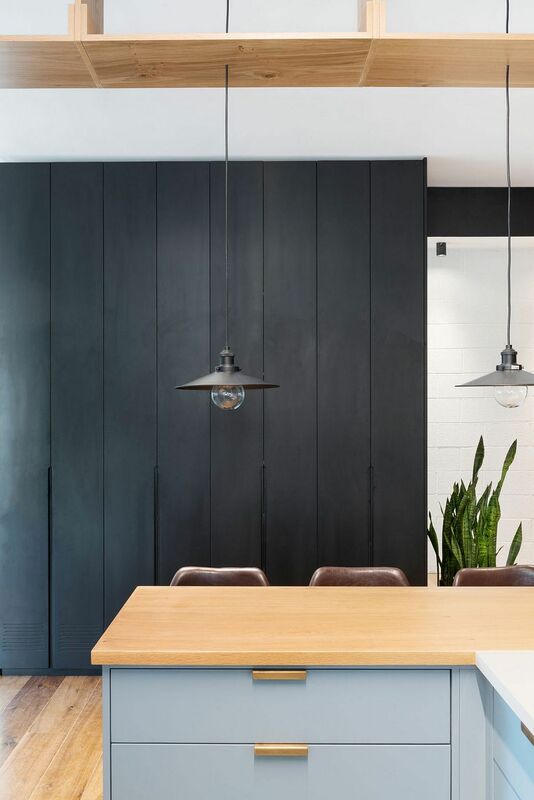 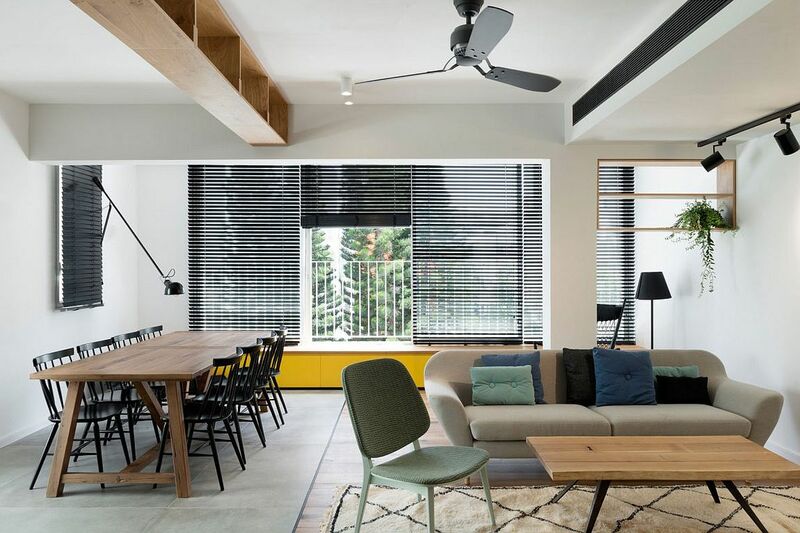 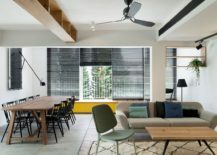 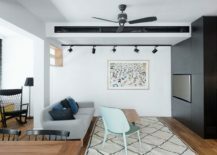 RELATED: Unboxing Space: Duplex Apartment Merges Diverse Eras And Styles!